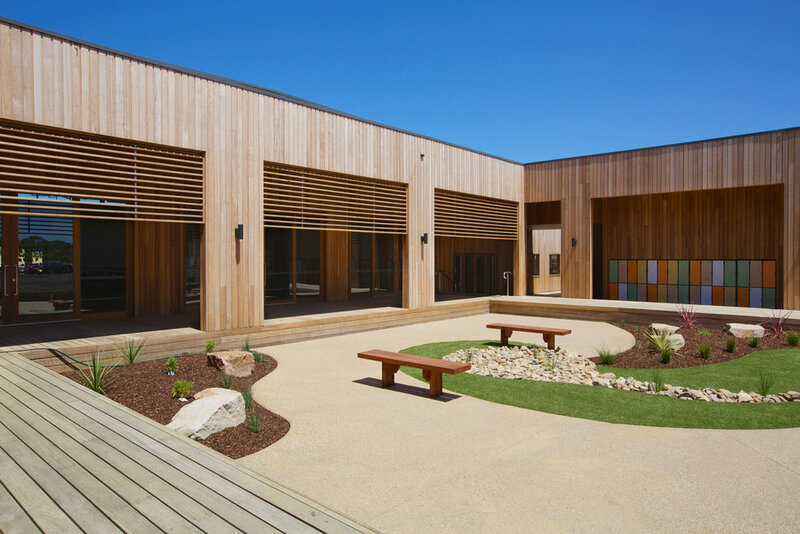 McIldowie partners have been fortunate to partner with Newhaven College on Philip Island in the creation of an entire campus and suite of related buildings. The Middle School Centre, completed in 2013, responds to the rural and coastal location by enclosing classrooms and multipurpose spaces inside wide verandahs, allowing for sunshading and access between rooms protected from the sometimes harsh environment. Both the vertical cladding and deck areas are timber further reflecting the location and the environmental emphasis overlaying the entire site.